Liverpool airport Meet and Greet parking is a fantastic way to start your holiday with a touch of style. You can leave your car with us without ever even seeing the car park. Simply drive to the terminal on arrival, hand the keys to your chauffeur and well do the rest. Our Meet and Greet service is the easiest Liverpool airport parking option available and will have you start your holiday feeling like a VIP. Pre-book with HolidayExtras.com® and youll get our best prices with Best Price Guarantee. Quite simply its the most effortless and stylish way to leave your car when jetting off to sunnier climes. Just drive to the terminal and leave your car with a qualified chauffeur and let them do the rest. Theyll take excellent care of your vehicle, parking it in a secured car park while youre away. Upon your return your chauffeur will see to it that your car is waiting at the terminal ready for you to drive home. Its a great service for those with unwieldy luggage, or those who are less able. Theres no waiting around, as soon as you arrive you can begin your holiday at once. Skypark Meet and Greet is available to pre-book through our website. 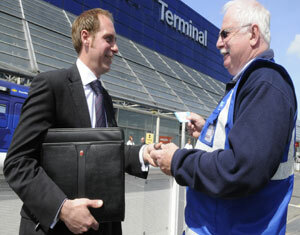 Its the only Meet and Greet service we sell at Liverpool airport, so make sure you book early to get the best deals. When you arrive at the terminal, just head to the drop-off area and your driver will be ready and waiting for you and your car. Once youre on your way hell take your car and park it in the Skypark car park. 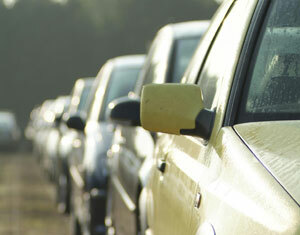 Whilst away you can be confident that your car is safe and sound. Skypark is secured and has CCTV, 24-hour patrols, barriers, electric shutters and its been awarded the Park Mark®. Car parks that have this award have been inspected by the police to ensure theyre safe. When you arrive back from your holiday, your car will be returned to the Short Stay car park close to the terminal; all the leg work is done for you.